The Free Zone, a film festival with an extraordinary and even provocative selection of films, is becoming more and more in the spotlight of movie-goers. The everyone’s favourite Indian summer is near its end. As November approaches, the period of year arrives when it’s time to forget about the long summer strolls and get back to cinemas, theatres, clubs and engage in other „indoor“ activities. Much to the satisfaction of numerous movie-goers, the early Novembrer is the time when a prestigious film festival takes place – The Free Zone – and will definitely make our autumn days brighter in Belgrade, Nis and Novi Sad. The Free Zone Film Festival was launched in 2005 in Belgrade screening 20 engaged feature, documentary and short-feature movies from Serbia, the region and all around the world, with a view to raising awareness of and understanding the current social issues, and particularly those of the marginalised groups. In addition to Belgrade, since 2013 the festival has been held in Novi Sad and Nis as well and during the festival around 30-40 feature and documentary films are normally screened. 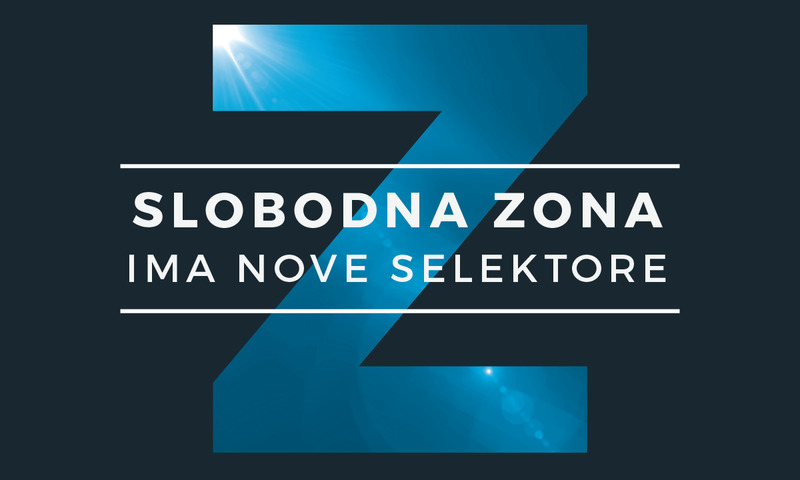 This will be the 13th Free Zone Film Festival and takes place from November 1 – 6, in Belgrade, Nis and Novi Sad. The opening ceremony will be hosted, as usual, at the Sava Centre at 20h. This occasion will be marked by the documentary musical The Liberation Day – Laibach in North Korea, the story depicting the concert and visit of this Slovenian band Laibach to North Korea. The programme is categorised into separate segments, such as the Women Line – dedicated to affirmation of women’s rights, and the segment – 14 plus, dedicated to issues of teenagers and their peers. Since 2012, the practice has been that one Guest selector is invited to be a member of the team of selectors, and as a rule, he/she is a prominent figure in the world of art and culture and relevant for festival promotion. Some of the guest selectors are Dubravka Ugrešić, Veton Nurkollari, Olja Bećković, Boris Buden. The organisers closely cooperate with other relevant European festivals, such as FID Marseille, Dokufest Prizren, Tempo festival from Stockholm, This Human World Vienna, CPH: Dox from Copenhagen. Owing to this cooperation, the festival will screen some of the films which have already been awarded and critically acclaimed across Europe. The Free Zone Film Festival is a member and partner of the International Human Rights Film Network and The Balkan Documentary Distribution Network. In addition to the main festival programme, there are some very relevant side programmes, one of which is the Late night conversations – a way to rethink the topics covered by the films, with the participation of prominent philosophers, politicologists and audience. There’s also the Cross Media Zone, the side programme which encompasses the projects combining activism, film expression and contemporary digital technologies. The last day of the Free Zone Festival is reserved for jury awards for the Best engaged film in international and regional competition, and the award for the Best film in the selection 14 plus, as well as the award of the Human rights jury. There’s also the Audience award and the Award for the audience, for the best review of the film screened during the festival. If the main reason for your arrival to Belgrade is this Free Zone Film Festival, we suggest that you get yourself the accommodation in the immediate vicinity of the festival venues. Apart form the Sava Centre, the main programme will also take place in the Cultural Centre Hall in whose neighbourhood you can find our apartment Kolarčeva. The Festival will also take place in the Youth Centre, Kolarac art cinema and famous Kinoteka venue. Within this stretch of area, you can choose some of genuinely superb Belgrade apartments, such as Skadarlija, Divan, Menadžer, Twelve, and also lot more apartments available in our web portal.